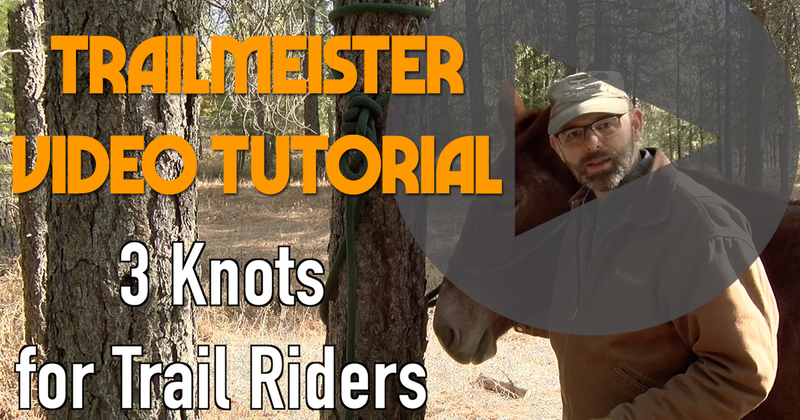 Let’s look at 3 knots to tie horses that I use a regular basis to tie in and on the trailer as well as out on the trail. 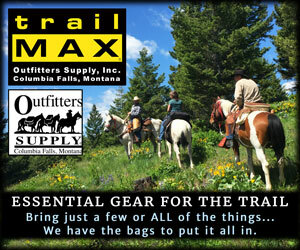 Think of all of the knots that trail riders and horse campers need to tie. Knots to tie horses to trailers, trees and posts. Knots to highline, knots to make camp, and who knows what else. But, if you’re like me, you probably had horses for years before you could tie your first real knot. And once you figured it out, you wondered what took you so long. 3 knots that I use on a regular basis to keep the ponies out of mischief. The 3 bite design of this knot lets it release easily under pressure. I use this quick release knot a lot especially at the trailhead when I’m tying to the trailer. I also use it when packing to connect multiple pack animals. 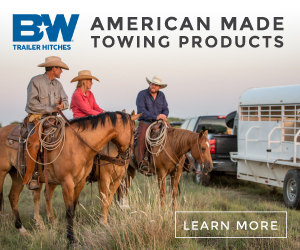 BTW – I’ve had people tell me not to tie to trailer tie rings as they can break. If that’s the case I think you’ve bought the wrong trailer! With my Eby trailer breaking is not an issue! Tree Knot – If you can make a four and check your watch you can tie this knot. I use this knot when a tree is too big to fold a rope in half. Make at least two loops around the tree to keep it from sliding. Although I use it mostly for tying to trees, you can also use it anywhere else you desire. You can find more knots and trail riding and horse camping info at www.TrailMeister.comEnjoy!